You can escape this great looking piece! Ride off in the sunset! Limited edition piece of only 195 pieces! The paper artwork measures 21-inches tall x 16-inches wide. 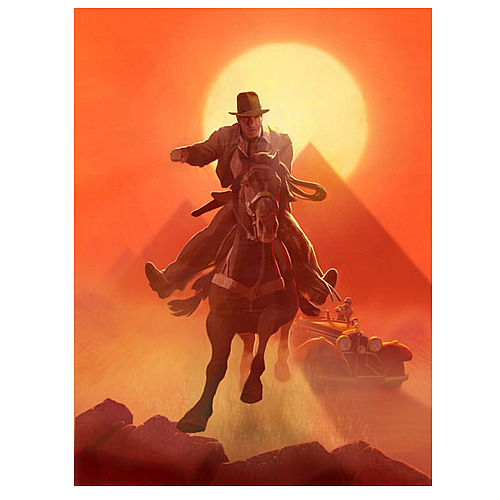 This magnificent piece features Indy riding off with the pyramids and sunset in the background.